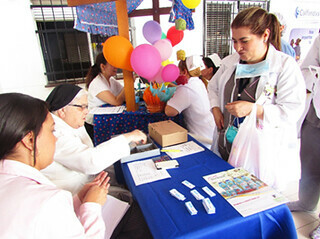 Medellín (Colombia), 01/14/2019, Sr. Ruth María Vallejo.– As previously reported, the "El Rosario" Clinic of the Province of Medellin is constantly striving to meet Quality standards and respond to the demands of its users, which has allowed it to gain in recent months of several awards, both nationally and internationally, endorsing their work for the benefit of its users. But its actions does not end there; its objective is not only the satisfaction of its external users. 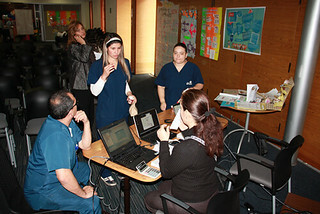 Another population attracts all its attention and mobilizes its efforts to respond with quality and charity to its needs: The EMPLOYEES. 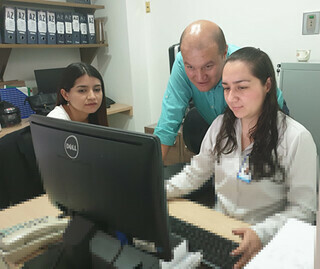 With their hard, permanent and qualified work, they allow the Institution to carry out its mission in the world of health. 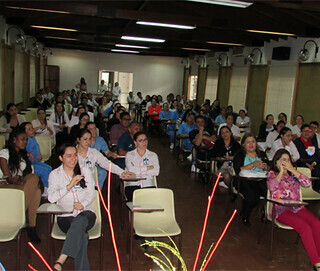 Conscious of the needs of its collaborators in the different institutions, and after a long search, Sr. Angela María Vélez, Provincial Superior of the Province of Medellín, committed herself to the creation of an Employee Fund, a project entrusted to Sr. Ruth María Vallejo Isaza, which began on June 3, 2014. The Employee Fund is a non-profit and private law Solidarity Economy Company, under the supervision of the Superintendence of Solidarity Economy. 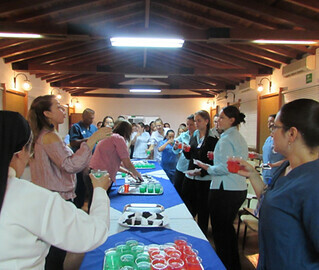 It is owned by the associates, employees and retirees of the institutions belonging to the Dominican Sisters of the Presentation, Province of Medellín, and affiliated companies. Its two service lines are savings and loans. Savings is classified in: permanent savings, immediate availability savings, housing savings, student savings and Christmas savings. Low interest loans seek to respond to the associates’ needs. 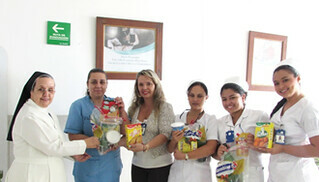 They provide free investment, housing, health and education. There are short, medium and long term loans. The interest is paid upon the debt and not on the capital they lend. Loans with low interest seek to respond to the needs of partners: they are free investment, housing, health and education. There are fast credits, medium and long term. Interest is paid on the debt and not on the capital they lend. 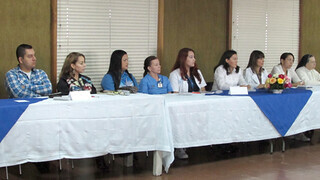 Health providers, including vision and dental. Life and auto insurance, health and funeral plans. Home and goods services distributors. 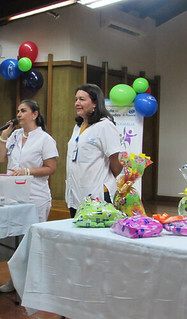 In addition to the savings and loans benefits, the Employee Fund also distributes a Christmas bonus in December, as well as a back-to-school kit on January. 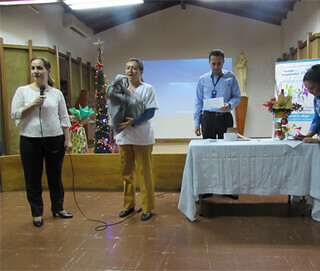 Twice a year a solidarity bonus draw is made, which includes a five day trip to Cartagena, all expenses paid, as well as two other cash prizes. To those who suffer the loss of a loved one in the first degree of consanguinity or affinity, an exequial assistance is provided. There are many means used to publicize the Employees Fund, among them: induction and re-induction days that the Institution schedules for staff, as well as various activities with Home Service producing Entities, which are sold to associates at very affordable prices. The delivery of Christmas savings in the first week of December, is one of the attractions that has generated the most impact. 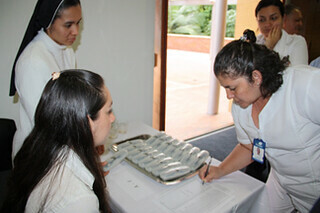 Since its establishment, 1013 associates have benefited of the services offered by the Fund. A total of 316 withdrawals have been processed, either due to the employee’s retirement of the Institution, or contract termination. 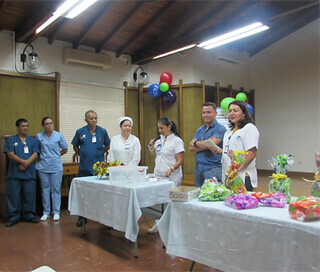 It is our hope this initiative will continue to fulfill the associates’ expectations, which will directly impact on a higher motivation for work, and also an increase on the quality of service provided to the patients visiting the Institution. 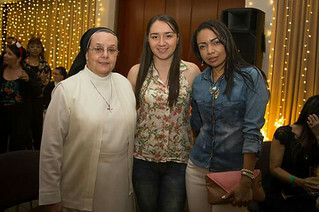 Special congratulations go to the Sisters, for always pursuing the commitment envisioned by Marie Poussepin, Social Apostle of Charity, aligned on justice and peace to others.